March 21, 2015, 9:47 a.m.
As everyone knows, May is an important month for democracy. There will be a new government, and for the first time we will also have a national bird. 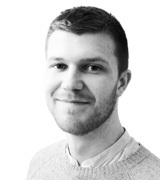 A shortlist of 10 has been chosen by online voters from an original list of 60 on ornithologist David Lindo’s website, and the vote to choose from them will be closed on May 7th – as the public cast their vote in the general election. Pre-empting the result, new YouGov research reveals the clear winner. 37% of British people say the Robin should be Britain’s national bird. This is more than three times as many as vote for the runner up, the barn owl, on 11%. The Crown still retains ownership of all unmarked mute swans in open water, after it claimed them for banquet dishes in the 12th Century. 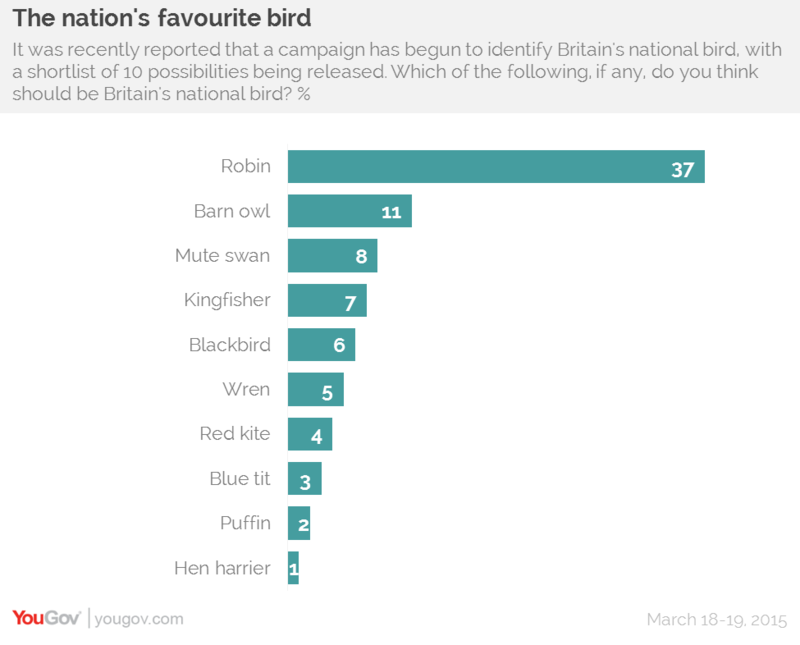 It’s the third choice for the national bird, chosen by 8%. Least popular is the hen harrier and puffin, perhaps because they are so rare. The hen harrier has red conservation status, with only 617 breeding pairs left in the UK; the puffin has amber status, with population standing at around half a million.